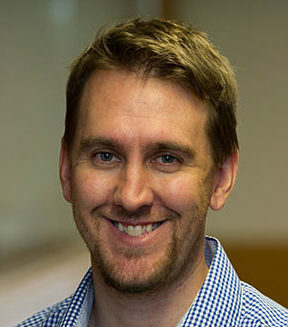 Nicholas Wolf is a research data management librarian at NYU Data Services, affiliated faculty of Glucksman Ireland House, and subject specialist in Irish Studies for NYU Libraries. He received his PhD in history at the University of Wisconsin-Madison, and his research expertise includes Irish cultural, social, and linguistic history as well as digital- and data-driven methods of scholarship. His investigation of the history of the Irish language, An Irish-Speaking Island: State, Religion, Community, and the Linguistic Landscape in Ireland, 1770-1870 (Wisconsin, 2014) was the recipient of the Michael J. Durkan Prize for Books on Language and Culture and the Donald Murphy Prize for Distinguished First Book. His research has been funded by grants and fellowships from the National Endowment for the Humanities, Newberry Library, and Newman College, University of Melbourne. He is an assistant editor for the journal Éire-Ireland and the web and communications editor for the American Conference for Irish Studies. He has published essays and reviews in the Irish Times, Éire-Ireland, Journal of British Studies, Australasian Journal of Irish Studies, New Hibernia Review, Incantatio, and the Canadian Journal of Irish Studies.